Rippon Medical is committed to revolutionising the concept of anti-ageing in the UK by offering only the highest quality, reputable and evidence based treatment. We believe that Rippon Medical is about patient care, safety and satisfaction. We recognise that professional integrity and ethical treatment care are of paramount importance in terms of meeting the needs of our patients. All our treatments are carried out by a fully qualified Medical Doctor who specialises in Advanced Medical Aesthetics. Dr Rippon believes there is a science behind beauty and ageing. He understands that lots of people don't like the thought of cosmetic 'surgery' and he believes modern medical technology can provide today's consumers with superior alternatives to invasive and potentially painful surgery (that may require a long recovery). Dr Rippon is highly skilled in the art of Medical Aesthetics and has been trained to a Advanced Level Standard by leading providers for medical aesthetic training. 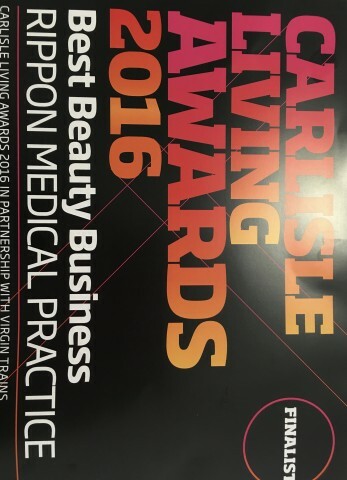 Contact us on Carlisle 01228 791447 for more information.